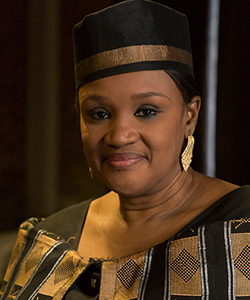 Aminata Sall Diallo is a Professor of Physiology at the University Cheikh Anta Diop of Dakar, CEO for the APEES and Special Advisor to the Minister of Higher Education and Research of Senegal. She is also a member of the Senegal National Academy of Sciences. Aminata Sall Diallo is a frontrunner in the fight against hepatitis and was instrumental in establishing the National Programme against hepatitis in Senegal making Senegal to be the first African country to introduce vaccines against he disease.